Negotiations between the Academic Staff Union of Universities (Asuu) and a federal government delegation will continue next week, the union’s president has said. 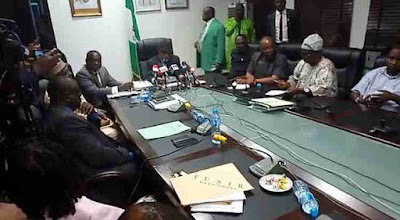 The leadership of ASUU and government officials resumed talks on Thursday over the ongoing nationwide strike embarked on by lecturers in public universities. Asuu commenced the strike action on Monday, November 5 , to press home its demands for improvement in the funding of public universities in Nigeria. Speaking after Thursday’s meeting in Abuja, the union’s president, Professor Biodun Ogunyemi, said that his team and the government’s had yet to conclude discussions. He then said that they would meet again next week, without stating the exact day, for further negotiations. On his part, the Minister of Labour and Employment, Chris Ngige, expressed optimism that the discussions would lead to the suspension of the strike. Some of the union’s demands include: payment of earned allowance; funding of revitalisation of the Nigerian universities, implementation of needs assessment report, and poor funding of state universities.